Mitchell House was designed by the architect Harry Norris and built in 1936-37. It was built for Thomas Mitchell & Co, a leading and long-established local firm of brushware manufacturers. 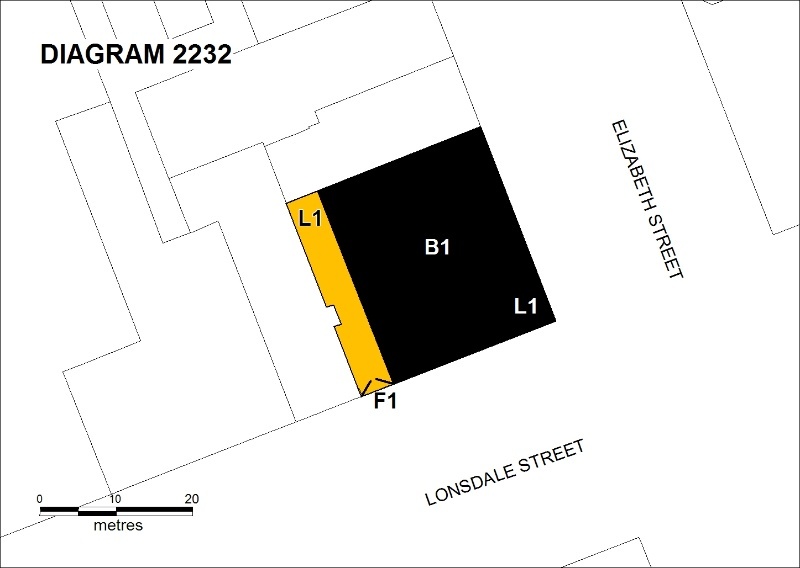 The company had owned land in Lonsdale Street since the 1890s and acquired the adjacent site of the Commonwealth Hotel on the corner of Elizabeth and Lonsdale Streets in c1912. In 1936 the company commissioned Norris, then Melbourne's leading designer of modern, large-scale commercial and retail buildings, to design a new ten-storey building, rising to the then height limit of 132 ft (40 metres). Only six storeys were built, with three storeys proposed for a future stage. There were elevated links to connect the building to the company's original premises on the other side of Mitchell's Lane, whose facade would be remodelled at a later date. The contract price for the building was £25,000 and it was built by Hansen & Yuncken in only five months. Mitchells had their showroom on the second floor of the new building, and the other floors and the shops on the ground floor were tenanted. They vacated the building in 1940 for use by the cartographic section of the Australian Survey Corps, and Mitchells never moved back. The building was sold in 1970 and the Mitchell Company was dissolved in 1986. 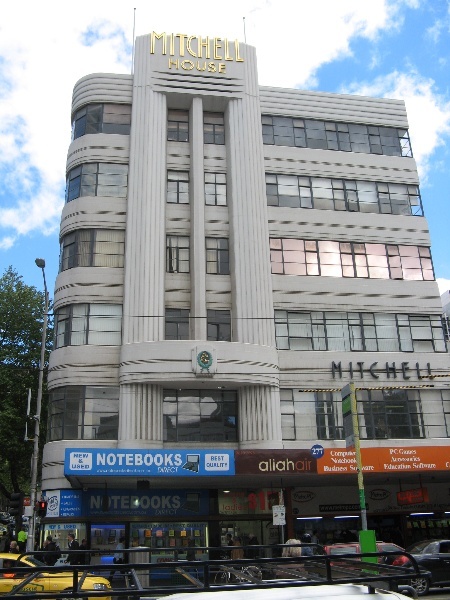 Mitchell House is a six-storey reinforced concrete commercial building in a Streamlined Moderne style, with a matching two-storey section to the north on Elizabeth Street. The main building has a dominant horizontal emphasis, typical of the style, with alternating bands of steel-framed windows and incised spandrels across both frontages and wrapping around the corner. On each of the street frontages is a contrasting vertical element in the form of an off-centre bay defined by a pair of fluted piers enclosing recessed windows. 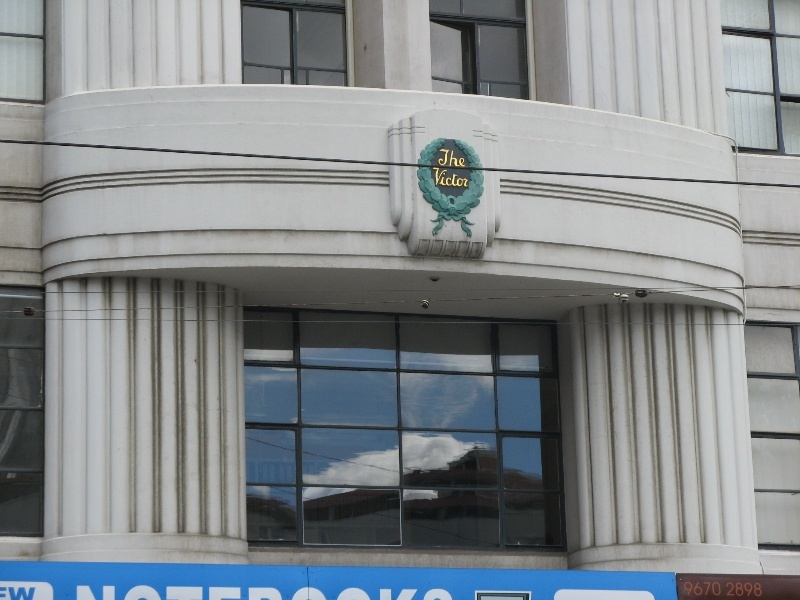 Prominent signage appears as a decorative feature on the building. The name Mitchell House appears on the Elizabeth Street parapet in moulded letters, and also in projected steel lettering along the second floor spandrel on each elevation, and on the second floor balconette is a moulded escutcheon with the words 'The Victor' in a wreath, the company logo of Mitchell's leading brand. Across the end of Mitchell lane to the west of the building is a pair of ornate Art Deco wrought iron gates, also with 'The Victor' logo. 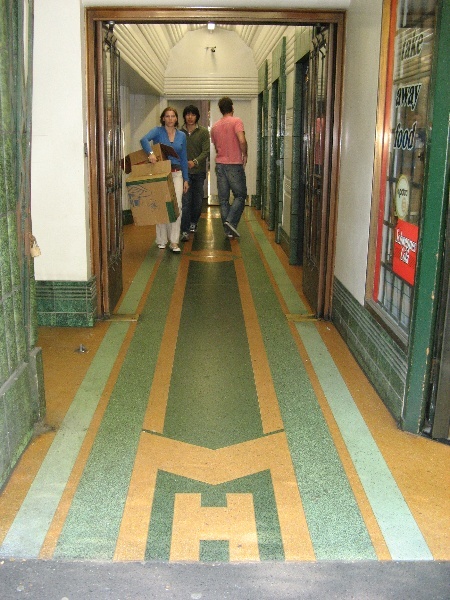 The ground floor shopfronts all retain at least some of their original fabric, including tiled spandrels and copper-framed shop windows with matching highlights. 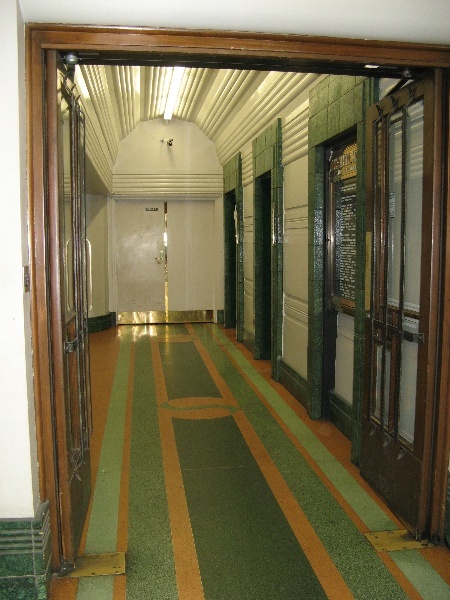 The entrance foyer is notably intact, with the original doors, mottled green faience tiling, inlaid terrazzo floors in a pink and green striped pattern and with the initials MH, a striking plastered barrel-vaulted ceiling and the original tenants' directory. 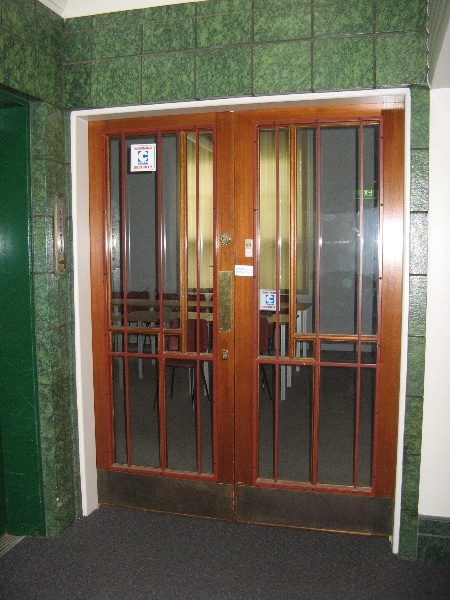 One of the two lifts is original, the other has been replaced. 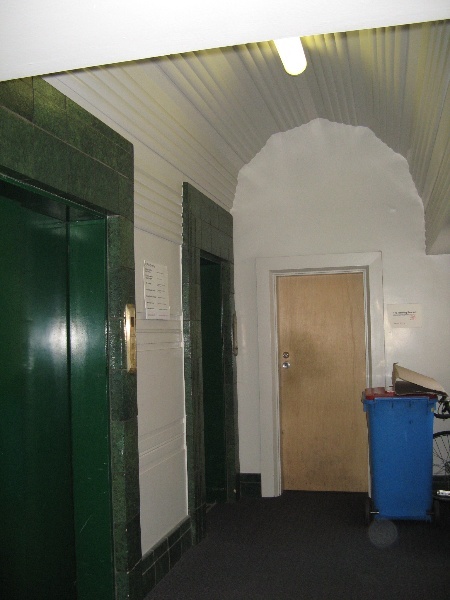 The lift lobbies at the upper levels are similar in appearance, though some have been altered. 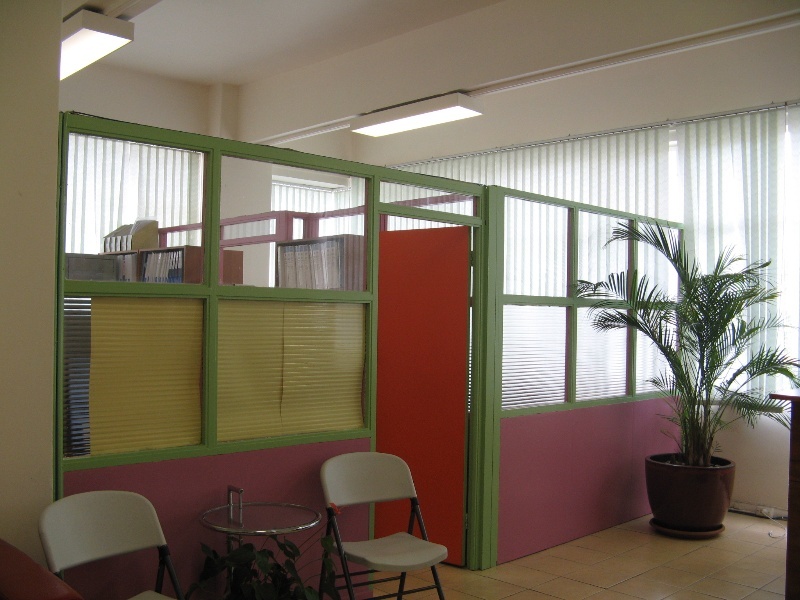 The office areas are more utilitarian in appearance, with rooms opening off corridors defined by simple partitions with steel-framed highlight windows above. The individual office spaces have largely been altered to suit changing needs. Mitchell house is of architectural significance to the state of Victoria. Mitchell House is of architectural significance as an outstanding and intact example of a Streamlined Moderne commercial building. The striking Moderne character is enhanced by the retention of the original signage and the original finishes in the entrance foyer and lift lobbies. It is significant as the best example of the prominent architect Harry Norris's work in the Streamlined Moderne style, of which Norris was one of Victoria's best-known exponents. 1. All the land marked L1 on Diagram 2232 held by the Executive Director, being part of the land described in Certificate of Title Volume 11144 Folio 561 and part of the land described in Certificate of Title Volume 6104 Folio 761. 2. All the building marked B1 on Diagram 2232 held by the Executive Director. Harry Norris was born in Hawthorn, was articled with the architectural office of Ward & Carleton, and from c1907 was a Senior Draftsman under Alfred Carleton, after which he set up his own practice. His first project was a Masonic Temple in Bell Street, Preston, and later many other projects in Melbourne's north and north-east suburbs, including houses in Preston, Northcote and Heidelberg, a motor garage in Clifton Hill, a factory in Brunswick, RSL clubrooms in Preston and Northcote, and another Masonic Temple in Northcote. His first major city building (1923) was the Tattersall's Club, now Curtin House, in Swanston Street. Two major clients of Norris's, who would provide him with countless commissions, were retailer G J Coles and pharmaceutical manufacturer Alfred Nicholas. The site on the north-west corner of Lonsdale and Elizabeth Streets was acquired in 1846 by Hugh Glass, who five years later built a hotel, known as the Family Hotel until 1852, when the lease was transferred to William Hockin and the building was renamed the Commercial Hotel. The following year Hockin purchased the site from Hugh Glass and, after acquiring additional land along Lonsdale Street, erected the so-called Assembly Rooms alongside the hotel in 1858. Although the hotel underwent several changes in name, becoming Hockin's Hotel and later the Commonwealth Hotel, it remained in Hockin's ownership (and later that of his estate) for the next six decades. Thomas Mitchell (1856-1926) commenced the manufacture of brushware in 1876 in a modest factory in Graham lane, off Little Bourke Street. By the early 1890s he had relocated to nearby premises at 357 Lonsdale Street. In 1901 he acquired a larger property on the opposite side of the street at no 360, west of Hockin's Hotel, and transferred a portion of the business there, and a year later purchased no 362 Lonsdale Street. More than a decade later he finally acquired the hotel on the corner from the Hockin Estate, with plans to expand in that direction some time in the future, but he died before the planned new building on the site was commenced. By 1929 the business had grown to require a factory covering three and a half acres. Each floor has complete natural lighting on three sides . no city building has such perfect natural lighting. In place of the conventional window apertures in the upper storeys, Mitchell House has transparent glass enclosed in frames of steel, extending along the full width of the building in both Lonsdale and Elizabeth streets. The interior lighting is therefore perfect throughout the day. There are no dark corners and there is no necessity for artificial lighting till after sunset. The whole building from top to bottom is centrally heated on a new and ingenious plan known as hydraulic heating. Each tenant controls his own hydraulic radiator, and thus can adjust the temperature of his part of the premises to suit himself. The architects had as their constant aim, a bright healthy well-ventilated building and this they have more than succeeded. The most modern, silent, smooth-running automatic electric lifts are installed. Never before have so many natural advantages been grouped in one building in the heart of the City of Melbourne. Designed almost entirely in reinforced concrete, steel and glass, the building included input from leading structural engineer Clive S Steele, who had worked with Norris on a number of earlier projects, including the new G J Coles store in Bourke Street and the house Burnham Beeches in Sherbrooke. The final drawings submitted to the MCC show that the building had been reduced to six storeys, with three additional levels indicated as a proposed future stage. The Elizabeth Street frontage had also dropped down to two storeys at the northern end. The drawings also indicated a series of elevated links that connected the new building to the company's original premises at no 360, on the other side of Mitchell's Lane. Its facade would be remodelled at a later time. A building permit was issued by the MCC in June 1936 and demolition of the old Commonwealth Hotel on the corner began in September 1936. The contract price for the new building was £25,000 and it was built by Hansen & Yuncken in only five months. 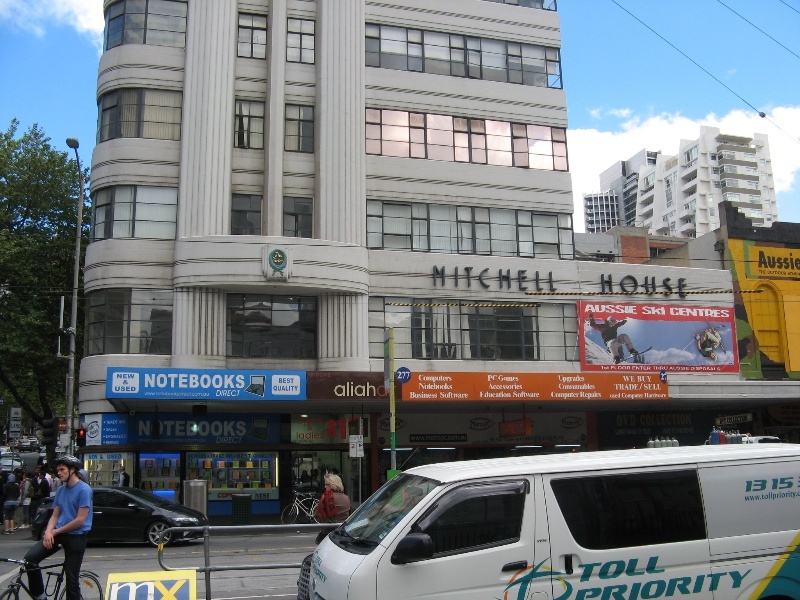 Mitchell House appears in the Sands & McDougall Directory for the first time in 1938, listed at both 271-281 Elizabeth Street and 354-8 Lonsdale Street. The company had its showrooms on the second floor, while other tenants included a blouse manufacturer on the first floor, a vacuum cleaner supplier on the third floor, a commercial artist on the fourth floor and the offices of United Artists on the top floor. The shops on Elizabeth Street were occupied by a shoe shop (no 273-5), a vacuum cleaner showroom ( no 277), a tobacconist (no 279) and the Spot Cafe (no 281), and those on Lonsdale Street by Mrs Gillooly's boot repairs (no 354), A L Campbell & Coy (no 356) and a cake shop (no 358). Thomas Mitchell & Co was still listed at nos 3602, as 'wholesale brush and broom manufacturers, hardware and tank merchants, nail and barbed wire manufacturers'. Mitchells spent only a brief time in the building. In 1940 they vacated their showroom on the second floor for use by the cartographic section of the Australian Survey Corps as a drawing office, and Mitchell's never moved back. 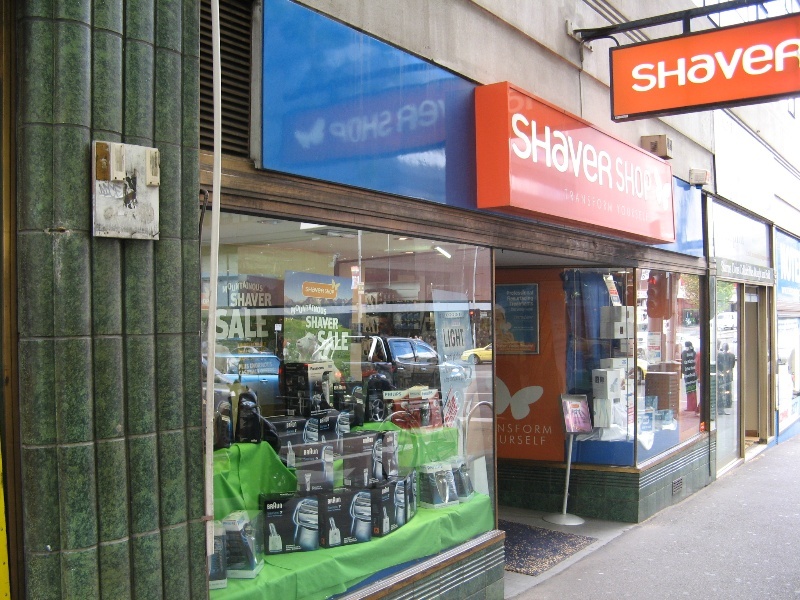 The firm was until the late 1960s one of the five largest brush manufacturers in Australia, but it declined after the abolition of tariffs for imported products. 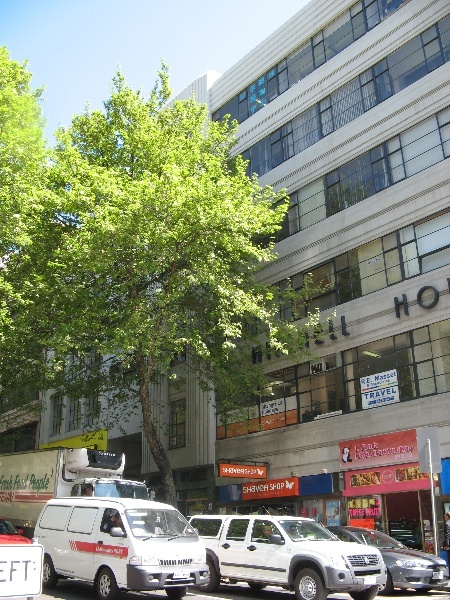 The building was sold in 1970 to the prominent property developer Henry Krongold, and the Mitchell company was dissolved in May 1986. Plans were prepared by Krongold's company in the 1980s for the redevelopment of the site, with Mitchell House to be retained and a high-rise building constructed on the remainder of the block, to the west and north of Mitchell House, but this never went ahead. 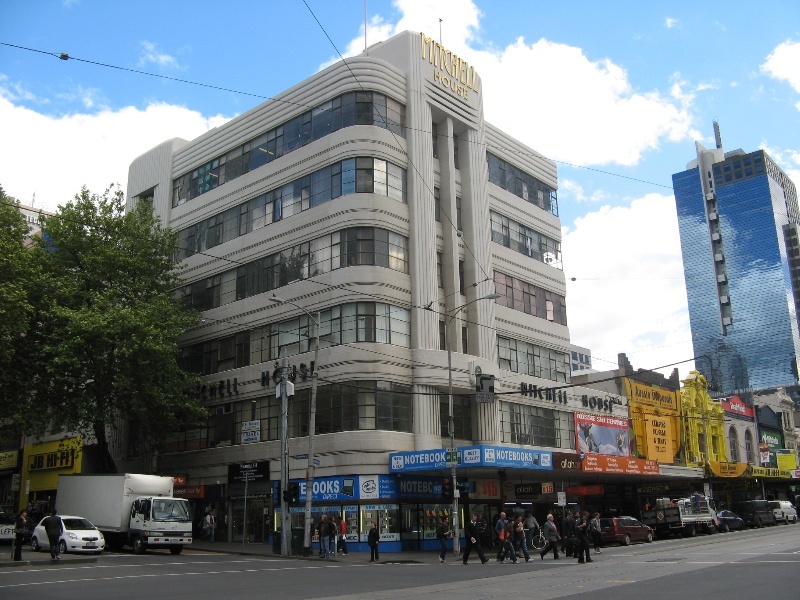 This outstanding and intact Streamlined Moderne style commercial building was designed by the prominent Melbourne architect Harry Norris and built in 1936-7 for the brushware manufacturers Thomas Mitchell & Co.
Mitchell House is an outstanding and intact example of an inter-war Streamlined Moderne style commercial building. The striking Moderne character is enhanced by the retention of the original signage and the original finishes in the entrance foyer and lift lobbies. It is significant as the best example of the prominent architect Harry Norris's work in the Streamlined Moderne style, of which Norris was one of Victoria's best-known exponents. 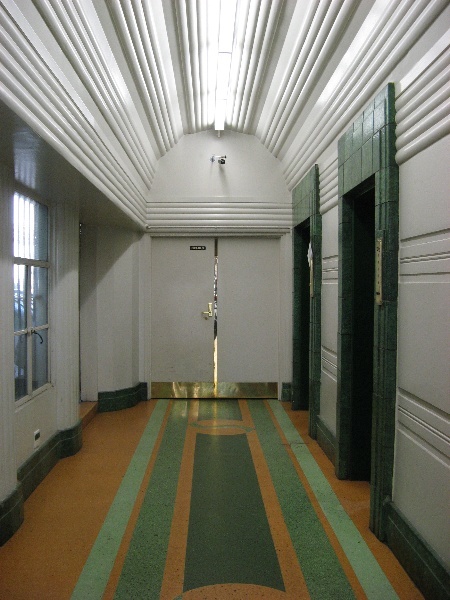 Mitchell House was designed by Harry Norris, one of Victoria's most important inter-war architects, who designed several of Melbourne's most important commercial buildings in the inter-war period, especially those for G J Coles and the Nicholas family. 3. 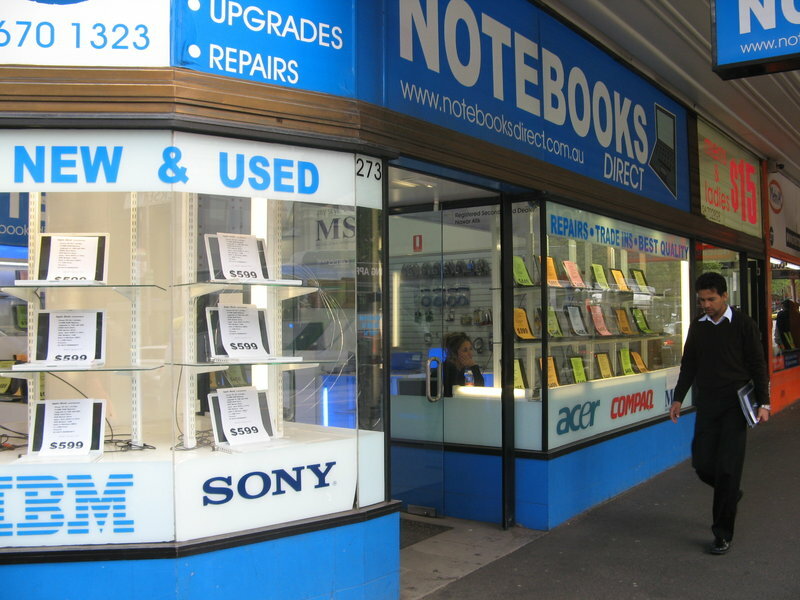 All signage located within shop fronts. The extent of registration protects the whole site. The significance of the place lies in its rarity and intactness as an outstanding example of a Streamlined Moderne style commercial building. All of the registered building is integral to the significance of the place and any external or internal alterations that impact on its significance are subject to permit application. The addition of new buildings to the site may impact upon the cultural heritage significance of the place and requires a permit. The purpose of this requirement is not to prevent any further development on this site, but to enable control of possible adverse impacts on heritage significance during that process. The original lettering on the exterior of the building is important to its significance and must be retained. 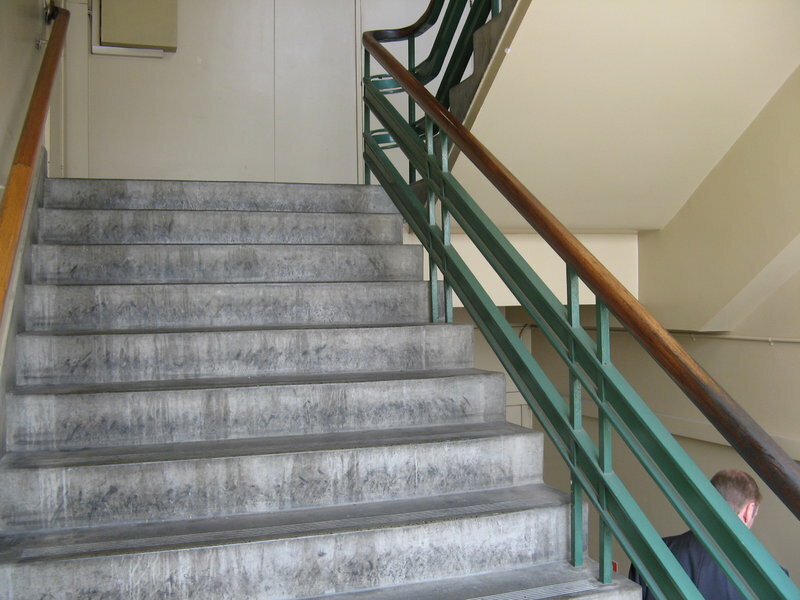 The entrance foyer on the ground floor, the lift lobbies on the upper levels and the stairs retain a number of original features, all of which should be retained. 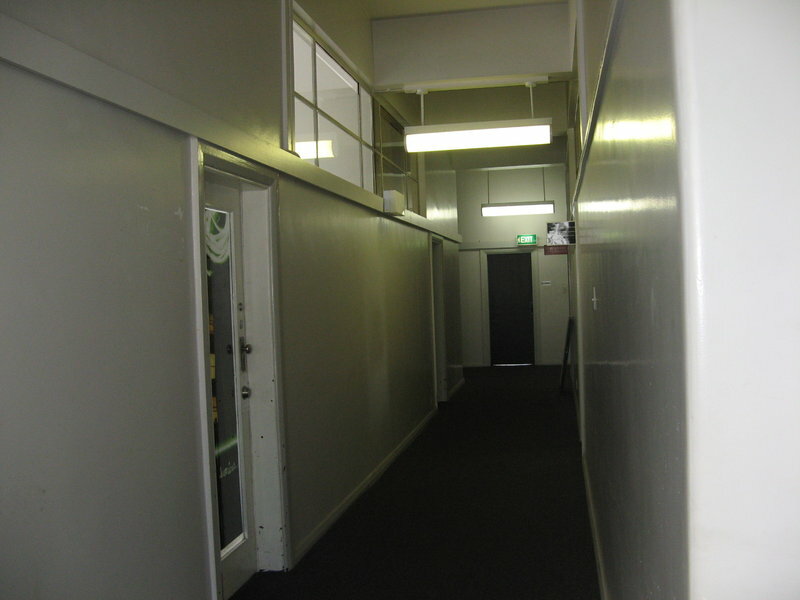 The shops on the ground floor have been altered externally to various degrees. The restoration of these to their original appearance is encouraged. There appears to be little remaining of the original interiors in other parts of the building, and as long as any changes in the latter areas were non-structural, did not encroach on the window areas and were not visible from outside the building, these spaces could be refitted without a permit. 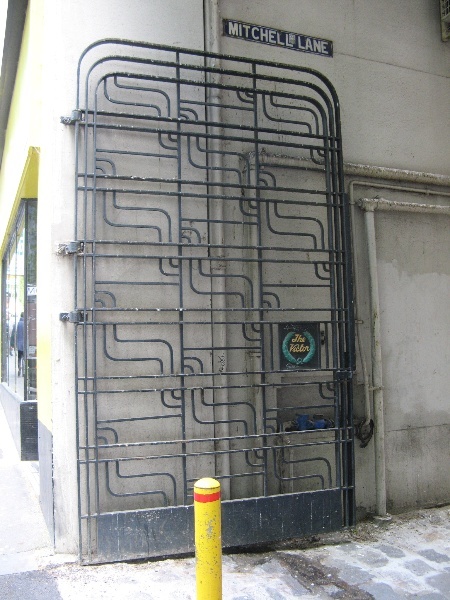 The wrought iron gates in the laneway on the west side and their attachments to the adjacent building are included in the registration, and any changes, including to their method of attachment, are subject to permit. 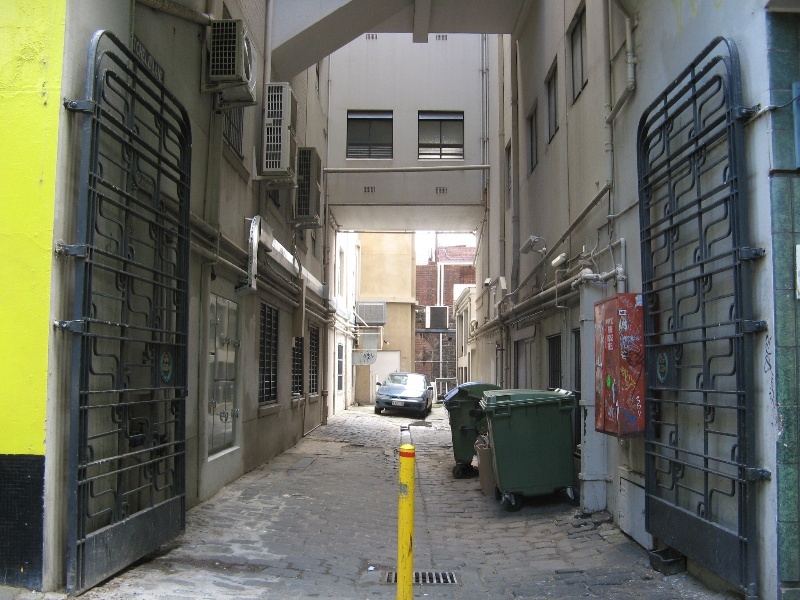 The bridge links to the adjacent building are not included in the registration and could be removed without a permit, but Heritage Victoria should be informed in writing.